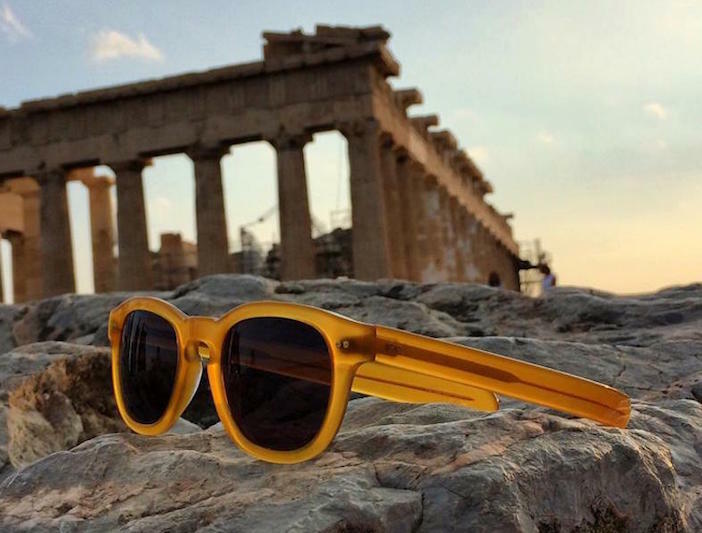 A Chicago entrepreneur is uniting his passion for fashion and style with his love for Greece and concern for humanity with a new sunglasses line he’s named Ellison, which takes its name from the Greek word for sun, Elios. Aristotle Loumis launched Ellison Sunglasses— a project he’s been developing for years from his two bases in Chicago and Iowa. The sunglasses are designed by a creative team hand-picked by Loumis and made with the finest Italian parts known in the industry today. The lenses are made by Carl Zeiss— the manufacturer that designed the lenses used to film the first moon landing. 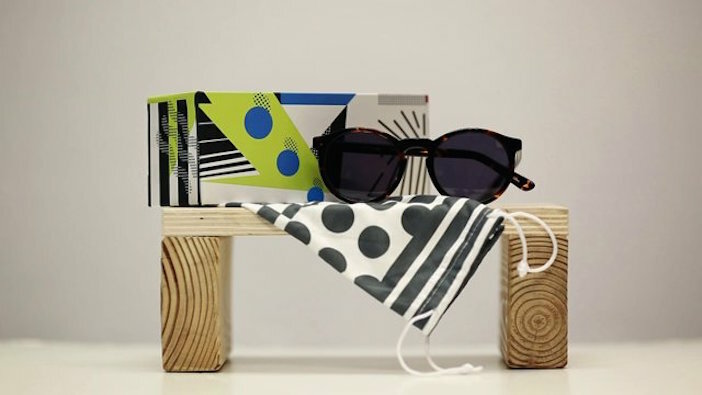 The box the sunglasses are sold in are all designed by different artists and each gets a share of sunglasses sold. It’s Loumis’ way of supporting talent and artistry and ensuring that artists’ work can be shared. Loumis is also driven by philanthropy. A percentage of the company’s profits helps charities that are assisting with preventable blindness throughout the world. But the icing on the cake, according to Loumis, is that his sunglasses are made in Greece— in the country where people know sun the best— and a nation he cares deeply about. Currently, Ellison’s manufacturer employees two dozen people and it’s a project he prides himself on. 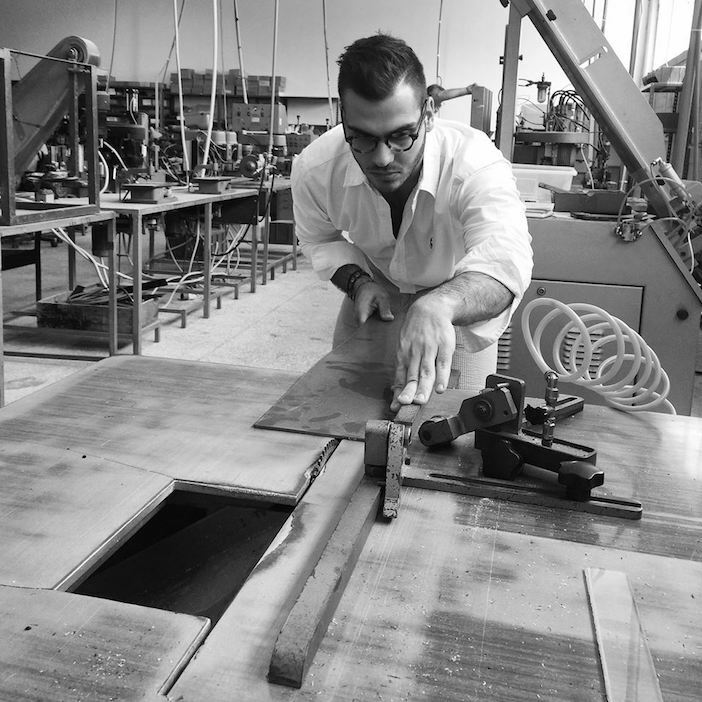 “In a very small way we are doing our part to help by keeping the manufacturing of our sunglasses in the country of my father’s birth—a country that gave me so much and a country I want to help as much as I can,” Loumis told The Pappas Post. But the journey that started over five years ago hasn’t always been easy. Aristotle’s determination has caught the attention of some of the biggest players in the industry and they’ve attempted to steal some of his thunder, right from under his feet. Warby Parker, a new— and much bigger player on the market “coincidentally” named a pair of their sunglasses “Ellison” and went heavy in the marketing and search engine optimization of this line. So when consumers were using google or other search engines to search for Loumis’ company, named Ellison, they were actually getting top results for a pair of sunglasses named “Ellison” by his biggest competitor. Aristotle is an avid reader of The Pappas Post and is offering fellow readers with an opportunity to save 20% off any purchase of Ellison Sunglasses. When checking out, use promo code pappaspost and you’ll have 20% deducted from your purchase. Follow Ellison on Facebook, Twitter and Instagram and watch their updates. Meet Ellison from Ellison on Vimeo.